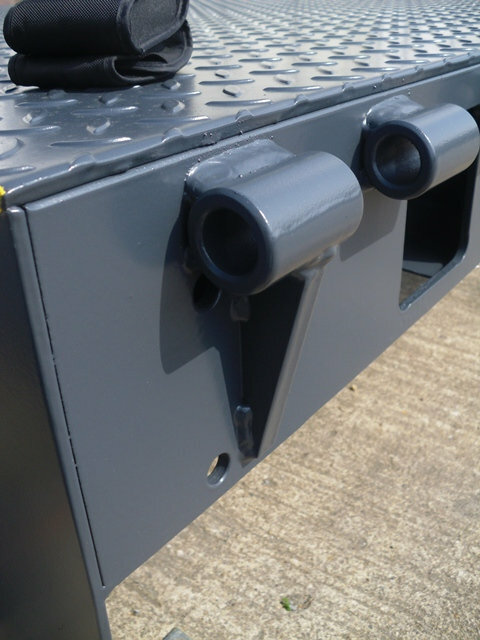 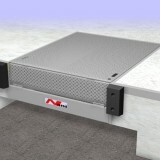 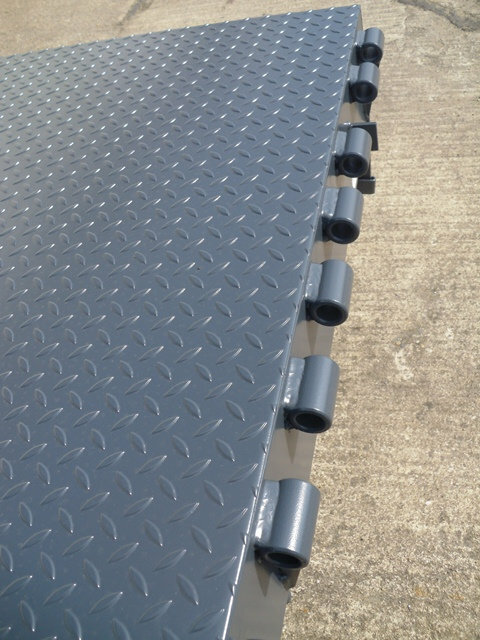 The mechanical dockleveller type KBM with hinged lip is constructed to the highest possible standards. 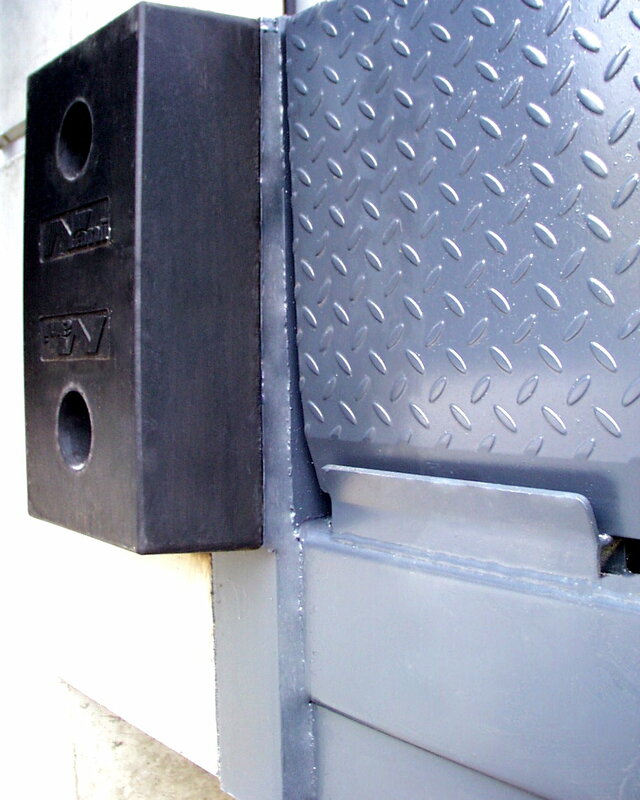 It is designed for premises that don´t have an electrical supply available. 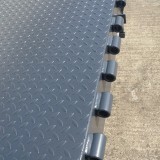 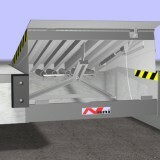 The leveller is operated by a sprung counterbalance system mounted under the platform. 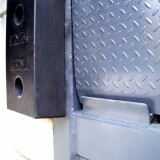 It requirs the operator to place his hand into the slot provided in the platform and grip the handle. 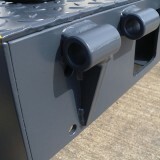 The operator then makes an upward lift to raise the platform and open out the lip. 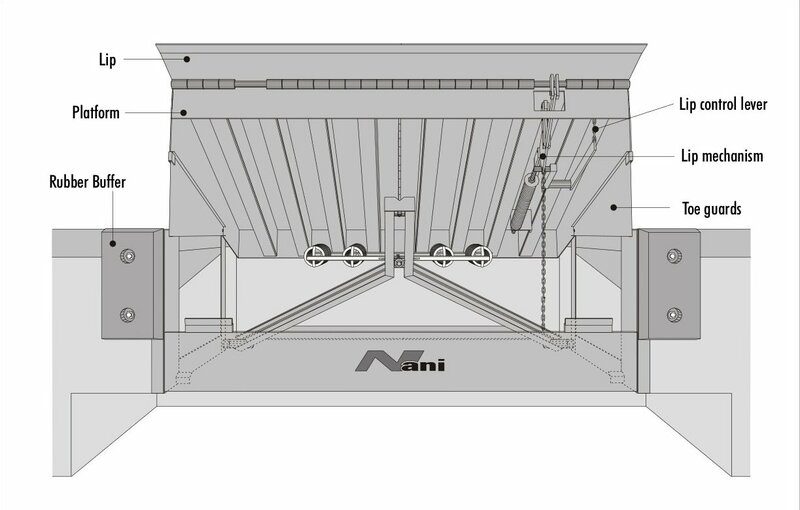 The lift is assisted by the spring counterbalance. 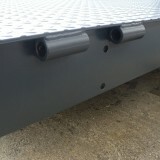 The platform can then be lowered onto the vehicle bed by walking onto the platform itself. 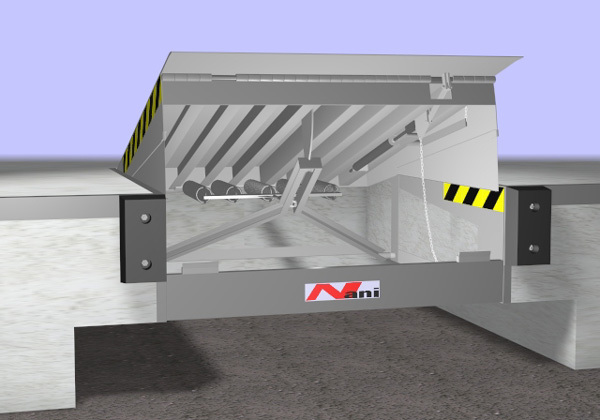 The dockleveller is built into a suspended type frame which means it is top hung in the pit. 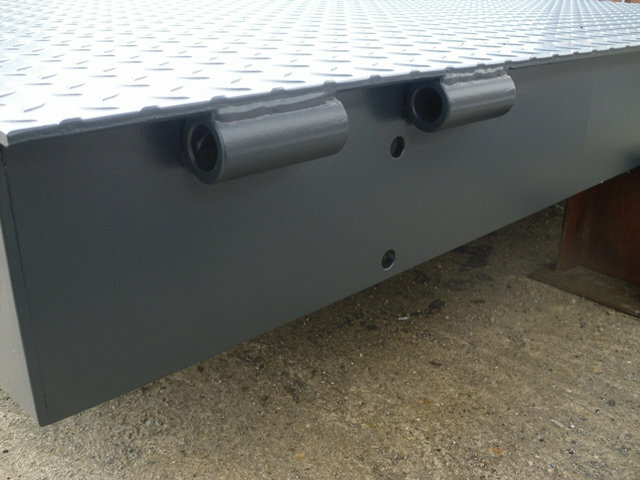 Thus allowing the construction of a Tail-lift pit under the dockleveller. 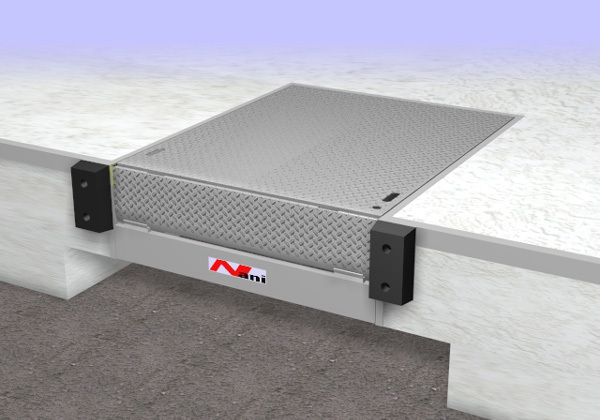 The dockleveller with mechanical hinge lip is constructed to comply with regulations for loading bridges and mobil ramps ZH 1/156 and Euro-Norm EN 1398.